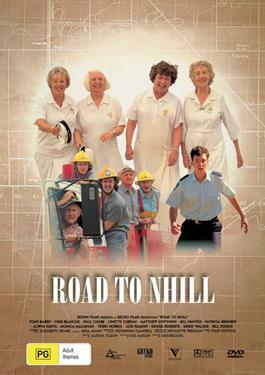 In a small isolated Australian town, a car carrying four members ot the local bowling club runs off the road, trapping the women inside. Maurie, a local pig farmer, is first on the scene and alerts the Emergency Services. However, the ambulance heads off in the wrong direction because there is confusion over whether the accident took place on Nhill Road or the road to Nhill. Maurie and the vegetable farmer Brian are no good handling the crises but the four women, somehow, struggle out of the car.